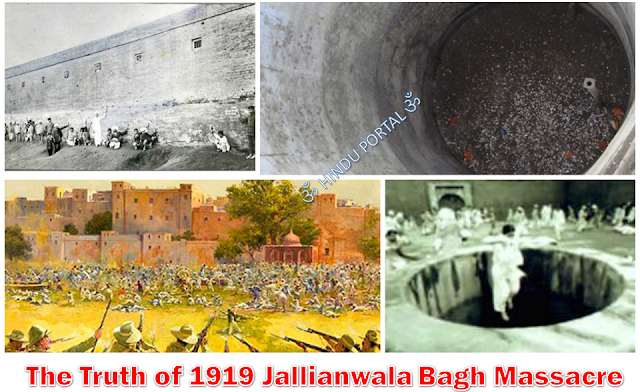 The Jallianwala Bagh massacre, also known as the Amritsar massacre, was a seminal event in the British rule of India. 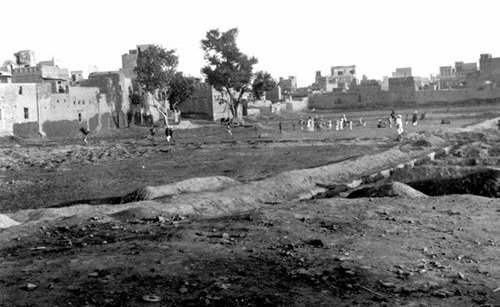 On 13 April 1919, a crowd of non-violent protesters, along with Vaisakhi pilgrims, had gathered in the Jallianwala Bagh garden in Amritsar, Punjab to protest the arrest of two leaders despite a curfew which had been recently declared. 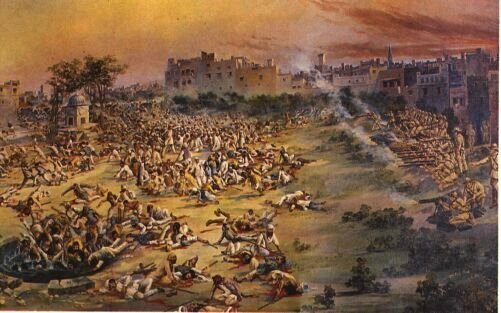 On the orders of Brigadier-General Reginald Dyer (The Butcher of Amritsar), the army fired on the crowd for ten minutes, directing their bullets largely towards the few open gates through which people were trying to run out. The dead numbered +1,300, possibly more. This "brutality stunned the entire nation", resulting in a "wrenching loss of faith" of the general public in the intentions of Britain. The ineffective inquiry and the initial accolades for Dyer by the House of Lords fueled widespread anger, leading to the Non-cooperation movement of 1920–22. On Sunday, 13 April 1919, Dyer was convinced of a major insurrection and he banned all meetings, however, this notice was not widely disseminated. That was the day of Vaisakhi, the main Sikh gathering of the year at Amritsar, and many villagers had come to the Bagh. 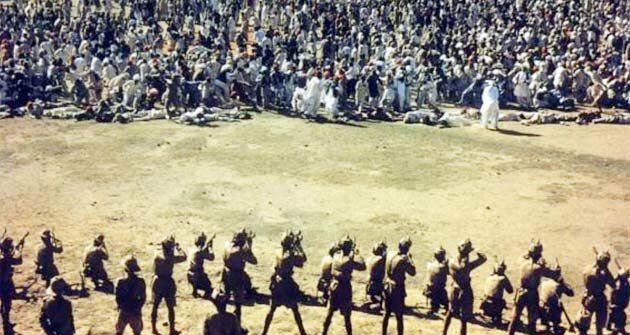 On hearing that a meeting had assembled at Jallianwala Bagh, Dyer went with fifty Gurkha riflemen to a raised bank and ordered them to shoot at the unarmed villagers which included women and children. Dyer continued the firing for about ten minutes until the ammunition supply was almost exhausted; Dyer stated that 1,650 rounds had been fired, a number which seems to have been derived by counting empty cartridge cases picked up by the troops. Official British Indian sources gave a figure of 379 identified dead, with approximately 1,100 wounded. The casualty number estimated by the Indian National Congress was more than 1,500, with approximately 1,000 dead. Dyer was initially lauded by conservative forces in the empire, but in July 1920 he was censured and forced to retire by the House of Commons. He became a celebrated hero in Britain among most of the people connected to the British Raj, for example, the House of Lords, but unpopular in the House of Commons, that voted against Dyer twice. The massacre caused a re-evaluation of the army's role, in which the new policy became "minimum force", and the army was retrained and developed suitable tactics for crowd control. Some historians consider the episode as a decisive step towards the end of British rule in India, although others believe that greater self-government was inevitable as a result of India's involvement in World War I. During World War I, British India contributed to the British war effort by providing men and resources. About 1.25 million Indian soldiers and laborers served in Europe, Africa, and the Middle East, while both the Indian administration and the princes sent large supplies of food, money, and ammunition. However, Bengal and Punjab remained sources of anticolonial activities. Revolutionary attacks in Bengal, associated increasingly with disturbances in Punjab, were significant enough to nearly paralyze the regional administration. A pan-Indian mutiny in the British Indian Army, planned for February 1915, was the most prominent plan amongst a number of plots of the much larger Hindu–German Mutiny, formulated between 1914 and 1917 to initiate a Pan-Indian rebellion against the British Raj during World War I. The revolutionaries included the Indian nationalists in India, the United States, and Germany, along with help from the Irish republicans and the German Foreign Office. The plot originated on the onset of the World War, between the Ghadar Party in the United States, the Berlin Committee in Germany, the Indian revolutionary underground in British India and the German Foreign Office through the consulate in San Francisco. The planned February mutiny was ultimately thwarted when British intelligence infiltrated the Ghadarite movement, arresting key figures. Mutinies in smaller units and garrisons within India were also crushed. In the aftermath of World War I, high casualty rates, increasing inflation compounded by heavy taxation, the deadly 1918 flu pandemic, and the disruption of trade during the war escalated human suffering in India. The costs of the protracted war in both money and manpower were great. In India, long the "jewel in the crown" of the British Empire, Indians were restless for independence. More than 43,000 Indian soldiers had died fighting for Britain. Indian soldiers smuggled arms into India to fight British rule. The pre-war Indian nationalist sentiment, revived as moderate and extremist groups of the Indian National Congress, ended their differences in order to unify. In 1916, the Congress succeeded in establishing the Lucknow Pact, a temporary alliance with the All-India Muslim League. Ever since the Rebellion of 1857 British officials in India lived in fear of native conspiracies and revolts; they warned each other that the natives were most suspicious when they seemed superficially innocent. Investigators at the time and historians since have found no conspiratorial links whatever to the events in Amritsar, but the British fears animated their responses—General Dyer believed a violent thrashing would dampen conspiracies—and afterward, he was hailed in Britain for having preempted an attack. The events that ensued from the passage of the Rowlatt Act in 1919 were also influenced by activities associated with the Ghadar conspiracy. British Indian Army troops were returning from Europe and Mesopotamia to an economic depression in India. The attempts at mutiny during 1915 and the Lahore conspiracy trials were still causing fear among the British. Rumors of young Mohajirs who fought on behalf of the Turkish Caliphate, and later, in the ranks of the Red Army during the Russian Civil War, were circulated in army circles. The Russian Revolution had also begun to influence Indians. Ominously for the British, in 1919, the Third Anglo-Afghan War began and in India, Gandhi's call for protest against the Rowlatt Act achieved an unprecedented response of furious unrest and protests. The situation, especially in Punjab, was deteriorating rapidly, with disruptions of rail, telegraph and communication systems. Many army officers believed revolt was possible, and they prepared for the worst. In Amritsar, more than 15,000 people gathered at Jallianwala Bagh. The British Lieutenant-Governor of Punjab, Michael O'Dwyer, is said to have believed that these were the early and ill-concealed signs of a conspiracy for a coordinated revolt around May, at a time when British troops would have withdrawn to the hills for the summer. (Similiar to the 1984 Sikh genocide) The Amritsar massacre, as well as responses preceding and succeeding it, contrary to being an isolated incident, was the end result of a concerted plan of response from the Punjab administration to suppress such a conspiracy. 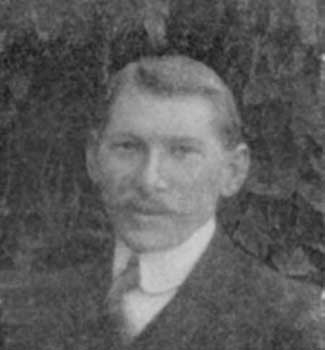 James Houssemayne Du Boulay is said to have ascribed a direct relationship between the fear of a Ghadarite uprising in the midst of an increasingly tense situation in Punjab, and the British response that ended in the massacre. On 10 April 1919, there was a protest at the residence of the Deputy Commissioner of Amritsar, a city in Punjab, a large province in the northwestern part of India. The demonstration was to demand the release of two popular leaders of the Indian Independence Movement, Satya Pal, and Saifuddin Kitchlew, who had been earlier arrested by the government and moved to a secret location. Both were proponents of the Satyagraha movement led by Mohandas Karamchand Gandhi. A military picket shot at the crowd, killing several protesters and setting off a series of violent events. Later the same day, several banks and other government buildings, including the Town Hall and the railway station, were attacked and set afire. The violence continued to escalate, culminating in the deaths of at least five Europeans, including government employees and civilians. There was retaliatory shooting at crowds from the military several times during the day, and between eight and twenty people were killed. On 11 April, Miss Marcella Sherwood, an English missionary, fearing for the safety of her pupils, was on her way to shut the schools and send the roughly 600 Indian children home. While cycling through a narrow street called the Kucha Kurrichhan, she was caught by a mob, pulled to the ground by her hair, beaten and kicked. Miss Marcella Sherwood, was rescued by local Indians, including the father of one of her pupils, who hid her from the mob and then smuggled her to the safety of Gobindgarh fort. After visiting Sherwood on 19 April, the Raj's local commander, General Dyer, issued an order requiring every Indian man using that street to crawl its length on his hands and knees. General Dyer later explained to a British inspector: "Some Indians crawl face downwards in front of their gods. I wanted them to know that a British woman is as sacred as a Hindu god and therefore they have to crawl in front of her, too." British Genocide and Terrorism against unarmed civilians, including women and children. The Butcher of Amritsar authorized the indiscriminate, public whipping of locals who came within lathi length of British policemen. Miss Marcella Sherwood later defended General Dyer, describing him "as the 'savior' of the Punjab". For the next two days, the city of Amritsar was quiet, but violence continued in other parts of Punjab. Railway lines were cut, telegraph posts destroyed, government buildings burnt, and three Europeans murdered. By 13th April, the British government had decided to put most of Punjab under martial law. The legislation restricted a number of civil liberties, including freedom of assembly; gatherings of more than four people were banned. On 13 April, the traditional festival of Baisakhi, thousands of Sikhs, Muslims and Hindus gathered in the Jallianwala Bagh (garden) near the Harmandir Sahib in Amritsar. An hour after the meeting began as scheduled at 16:30, Dyer arrived with a group of sixty-five Gurkha and twenty-five Baluchi soldiers into the Bagh. Fifty of them were armed with .303 Lee-Enfield bolt-action rifles. 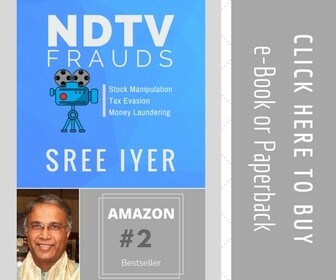 Dyer had also brought two armored cars armed with machine guns; however, the vehicles were left outside, as they were unable to enter the Bagh through the narrow entrance. The Jallianwala Bagh was surrounded on all sides by houses and buildings and had few narrow entrances. Most of them were kept permanently locked. The main entrance was relatively wide but was guarded heavily by the troops backed by the armored vehicles. The people had no-where to go and were boxed in like caged animals. 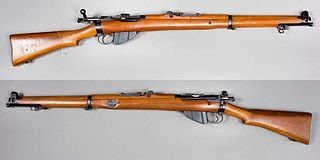 Lee Enfield .303 Bolt-action rifle. Dyer (without warning the crowd to disperse) blocked the main exits. He explained later that this act "was not to disperse the meeting but to punish the Indians for disobedience." Dyer ordered his troops to begin shooting toward the densest sections of the crowd to inflict maximum damage. Firing continued for approximately ten minutes. Cease-fire was ordered only when ammunition supplies were almost exhausted, after approximately 1,650 rounds were spent. The number of deaths caused by the shooting is disputed. While the official figure given by the British inquiry into the massacre is 379 deaths, the method used by the inquiry has been subject to criticism. In July 1919, three months after the massacre, officials were tasked with finding who had been killed by inviting inhabitants of the city to volunteer information about those who had died. This information was incomplete due to fear that those who participated would be identified as having been present at the meeting, and some of the dead may not have had close relations in the area. When interviewed by the members of the committee, a senior civil servant in Punjab admitted that the actual figure could be higher. Since the official figures were probably flawed regarding the size of the crowd (15,000–20,000), the number of rounds shot and the period of shooting, the Indian National Congress instituted a separate inquiry of its own, with conclusions that differed considerably from the Government's inquiry. The casualty number quoted by the Congress was more than 1,500, with approximately 1,000 being killed. The Government tried to suppress information of the massacre, but news spread in India and widespread outrage ensued. Yet, the details of the massacre did not become known in Britain until December 1919. "You people know well that I am a Sepoy and soldier. Do you want war or peace? If you wish for war, the Government is prepared for it, and if you want peace, then obey my orders and open all your shops; else I will shoot. For me, the battlefield of France or Amritsar is the same. I am a military man and I will go straight. Neither shall I move to the right nor to the left. Speak up, if you want war? In case there is to be peace, my order is to open all shops at once. You people talk against the Government and persons educated in Germany and Bengal talk sedition. I shall report all these. Obey my orders. I do not wish to have anything else. I have served in the military for over 30 years. I understand the Indian Sepoy and Sikh people very well. You will have to obey my orders and observe peace. Otherwise, the shops will be opened by force and Rifles. You will have to report to me about the Badmash. I will shoot them. Obey my orders and open shops. Speak up if you want war? You have committed a bad act in killing the English. The revenge will be taken upon you and upon your children." Brigadier Dyer designated the spot where Marcella Sherwood was assaulted sacred and daytime pickets were placed at either end of the street. Anyone wishing to proceed in the street between 6am and 8pm was made to crawl the 200 yards (180 m) on all fours, lying flat on their bellies. The order was not required at night due to a curfew. The order effectively closed the street. The houses did not have any back doors and the inhabitants could not go out without climbing down from their roofs. This order was in effect from 19 April until 25 April 1919. 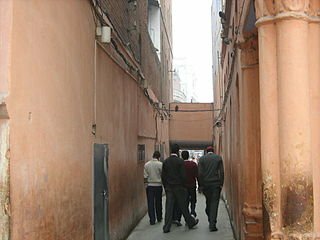 No doctor or supplier was allowed in, resulting in the sick, that was shot, being unattended and left to die in Jallianwala Bagh massacre. 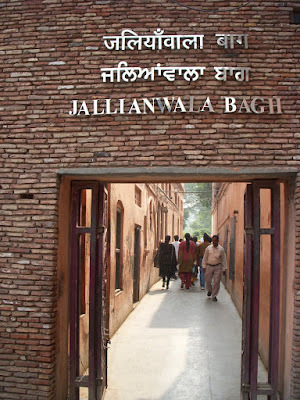 Jallianwala Bagh bullet-marked the wall. After General Dyer reported to his superiors that he had been "confronted by a revolutionary army", Lieutenant-Governor Michael O'Dwyer wrote in a telegram sent to Dyer: "Your action is correct and the Lieutenant Governor approves." O'Dwyer requested that martial law should be imposed upon Amritsar and other areas, and this was granted by Viceroy Lord Chelmsford. Both Secretary of State for War Winston Churchill and former Prime Minister H. H. Asquith however, openly condemned the attack. Churchill referring to it as "monstrous", while Asquith called it "one of the worst outrages in the whole of our history". Winston Churchill, in the House of Commons debate of 8 July 1920, said, "The crowd was unarmed, except with bludgeons. It was not attacking anybody or anything… When the fire had been opened upon it to disperse it, it tried to run away. Pinned up in a narrow place considerably smaller than Trafalgar Square, with hardly any exits, and packed together so that one bullet would drive through three or four bodies, the people ran madly this way and the other. When the fire was directed upon the center, they ran to the sides. The fire was then directed to the sides. Many threw themselves down on the ground, the fire was then directed down on the ground. This was continued to 8 to 10 minutes, and it stopped only when the ammunition had reached the point of exhaustion." After Churchill's speech in the House of Commons debate, MPs voted 247 to 37 against Dyer and in support of the Government. Rabindranath Tagore received the news of the massacre by 22 May 1919. He tried to arrange a protest meeting in Calcutta and finally decided to renounce his knighthood as "a symbolic act of protest". In the repudiation letter, dated 30 May 1919 and addressed to the Viceroy, Lord Chelmsford, he wrote "I ... wish to stand, shorn, of all special distinctions, by the side of those of my countrymen who, for their so-called insignificance, are liable to suffer degradation not fit for human beings"
The very least that I can do for my country is to take all consequences upon myself in giving voice to the protest of the millions of my countrymen, surprised into a dumb anguish of terror. The time has come when badges of honor make our shame glaring in the incongruous context of humiliation..." English Writings Of Rabindranath Tagore Miscellaneous Writings Vol# 8 carries a facsimile of this handwritten letter. Pandit Motilal Nehru, father of Jawahar Lal Nehru, the first Prime Minister of India, who called the massacre the "saddest and most revealing of all." Rabindranath Tagore, the first Asian Nobel Laureate and distinguished Indian educator, who renounced his knighthood in protest against the massacre and said, "a great crime has been done in the name of law in Punjab." Sir Sankaran Nair who resigned his membership of the Viceroy's Executive Council in the Legislative Council of Punjab in protest to the massacre. Charles Freer Andrews, an Anglican priest, and friend of Gandhi, who termed the Jallianwala Bagh massacre as "cold-blooded massacre and inhumane." 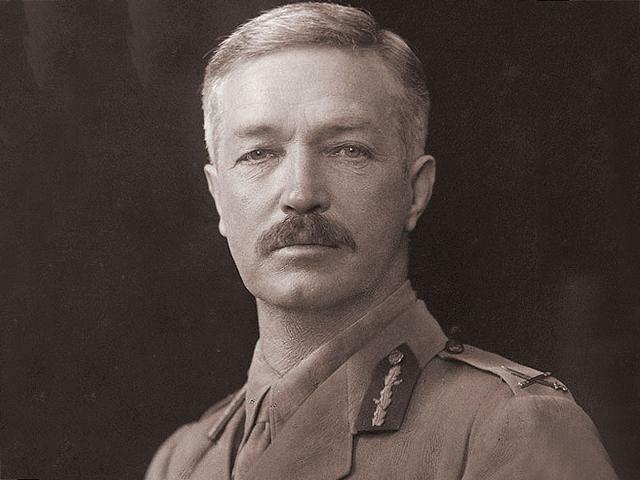 Brigadier-General Surtees who stated in the Dyer debate that "we hold India by force – undoubtedly by force." Edwin Samuel Montagu, the Secretary of State for India, who called it "a grave error in judgment." Herbert Asquith who observed: "There has never been such an incident in the whole annals of Anglo-Indian history nor I believe in the history of our empire since its very inception down to present day. It is one of the worst outrages in the whole of our history." B. G. Horniman who observed: "No event within living memory, probably, has made so deep and painful impression on the mind of the public in this country (England) as what came to be known as the Amritsar massacre." The era of Michael O'Dwyer and Dyer has been deemed "an era of misdeeds of British administration in India." During the Dyer debates in the Parliament of the United Kingdom, there was both praise and condemnation of Dyer. In 1920, the British Labour Party Conference at Scarborough unanimously passed a resolution denouncing the Amritsar massacre as a "cruel and barbarous action" of British officers in Punjab and called for their trial, recall of Michael O'Dwyer and Lord Chelmsford, the Viceroy, and the repealing of repressive legislation. After meeting in New Delhi on 29 October, the Commission took statements from witnesses over the following weeks. Witnesses were called in Delhi, Ahmedabad, Bombay, and Lahore. Although the Commission as such was not a formally constituted court of law, meaning witnesses were not subject to questioning under oath, its members managed to elicit detailed accounts and statements from witnesses by rigorous cross-questioning. In general, it was felt the Commission had been very thorough in its inquiries. After reaching Lahore in November, the Commission wound up its initial inquiries by examining the principal witnesses to the events in Amritsar. On 19 November, Dyer was called to appear before the Commission. Although his military superiors had suggested he be represented by legal counsel at the inquiry, Dyer refused this suggestion and appeared alone. 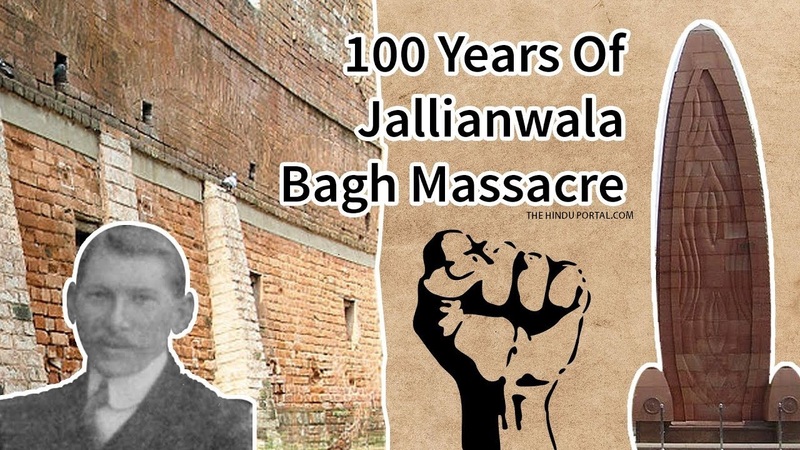 Initially questioned by Lord Hunter, Dyer stated he had come to know about the meeting at the Jallianwala Bagh at 12:40 hours that day but did not attempt to prevent it. Dyer stated that he had gone to the Bagh with the deliberate intention of opening fire if he found a crowd assembled there. Patterson says Dyer explained his sense of honor to the Hunter Commission by saying, "I think it quite possible that I could have dispersed the crowd without firing but they would have come back again and laughed, and I would have made, what I consider, a fool of myself." Dyer further reiterated his belief that the crowd in the Bagh was one of "rebels who were trying to isolate my forces and cut me off from other supplies. Therefore, I considered it my duty to fire on them and to fire well". "supposing the passage was sufficient to allow the armored cars to go in, would you have opened fire with the machine guns?" Dyer further stated that his intentions had been to strike terror throughout Punjab and in doing so, reduce the moral stature of the "rebels". He said he did not stop the shooting when the crowd began to disperse because he thought it was his duty to keep shooting until the crowd dispersed, and that a little shooting would not do any good. In fact, he continued the shooting until the ammunition was almost exhausted. He stated that he did not make any effort to tend to the wounded after the shooting: "Certainly not. It was not my job. Hospitals were open and they could have gone there." Exhausted from the rigorous cross-examination questioning and ill, Dyer was then released. Over the next several months, while the Commission wrote its final report, the British press, as well as many MPs, turned hostile towards Dyer as the extent of the massacre and his statements at the inquiry became widely known. Lord Chelmsford refused to comment until the Commission had been wound up. In the meanwhile, Dyer, seriously ill with jaundice and arteriosclerosis, was hospitalized. The Hunter Commission did not impose any penal or disciplinary action because Dyer's actions were condoned by various superiors (later upheld by the Army Council). The Legal and Home Members on the Viceroy's Council ultimately decided that, though Dyer had acted in a callous and brutal way, military or legal prosecution would not be possible due to political reasons. However, he was finally found guilty of a mistaken notion of duty and relieved of his command on 23 March. He had been recommended for a CBE as a result of his service in the Third Afghan War; this recommendation was canceled on 29 March 1920. "I think we can fairly claim to have been of great use in the late riots, particularly at Gujranwala, where the crowd when looking at its nastiest was absolutely dispersed by a machine using bombs and Lewis guns." The action by Singh was condemned generally, but some, such as the nationalist newspaper Amrita Bazar Patrika, also made positive statements. The common people and revolutionaries glorified the action of Udham Singh. Much of the press worldwide recalled the story of Jallianwala Bagh and alleged Michael O'Dwyer to have been responsible for the massacre. Singh was termed a "fighter for freedom" and his action was referred to in The Times newspaper as "an expression of the pent-up fury of the down-trodden Indian People". Rome at that time ascribed the greatest significance to the circumstances and praised the action of Udham Singh as courageous. The Berliner Börsen Zeitung termed the event "The torch of Indian freedom". German radio reportedly broadcast: "The cry of tormented people spoke with shots." At a public meeting in Kanpur, a spokesman had stated that "at last an insult and humiliation of the nation had been avenged". Similar sentiments were expressed in numerous other places across the country. Fortnightly reports of the political situation in Bihar mentioned: "It is true that we had no love lost for Sir Michael. The indignities he heaped upon our countrymen in Punjab have not been forgotten." In its 18 March, 1940 issue Amrita Bazar Patrika wrote: "O'Dwyer's name is connected with Punjab incidents which India will never forget." I did it because I had a grudge against him. He deserved it. He was the real culprit. He wanted to crush the spirit of my people, so I have crushed him. For the full 21 years, I have been trying to wreak vengeance. I am happy that I have done the job. I am not scared of death. I am dying for my country. I have seen my people starving in India under British rule. I have protested against this, it was my duty. What greater honor could be bestowed on me than death for the sake of my motherland? " "I salute Shaheed-i-Azam Udham Singh with reverence who had kissed the noose so that we may be free." Trust was founded in 1920 to build a memorial at the site after a resolution was passed by the Indian National Congress. In 1923, the trust purchased land for the project. A memorial, designed by American architect Benjamin Polk, was built on the site and inaugurated by President of India Rajendra Prasad on 13 April 1961, in the presence of Jawaharlal Nehru and other leaders. A flame was later added to the site. Shortly following the massacre, the official Sikh clergy of the Golden Temple conferred upon General Dyer the Saropa (the mark of distinguished service to the Sikh faith or, in general, humanity), sending shock waves among the Sikh community. On 12 October 1920, students and faculty of the Amritsar Khalsa College called a meeting to demand the immediate removal of the Gurudwaras from the control of Mahants. The result was the formation of the Shiromani Gurudwara Prabhandak Committee on 15 November 1920 to manage and to implement reforms in Sikh gurdwaras. 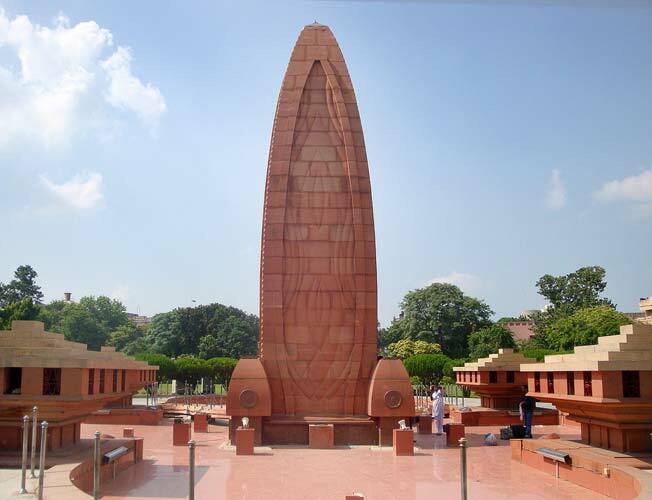 Massacre memorial in Jallianwala Bagh Garden, Amritsar. "It is no secret that there have been some difficult episodes in our past – Jallianwala Bagh, which I shall visit tomorrow, is a distressing example. But history cannot be rewritten, however much we might sometimes wish otherwise. It has its moments of sadness, as well as gladness. We must learn from the sadness and build on the gladness." On 14 October 1997 Queen Elizabeth II visited Jallianwala Bagh and paid her respects with a 30‑second moment of silence. During the visit, she wore a dress of a color described as pink apricot or saffron, which was of religious significance to Hindus and Sikhs. She removed her shoes while visiting the monument and laid a wreath at the monument. While some Indians welcomed the expression of regret and sadness in the Queen's statement, others criticized it for being less than an apology. Prime Minister of India Inder Kumar Gujral defended the Queen, saying that the Queen herself had not even been born at the time of the events and should not be required to apologize. Winston Churchill, on the 8th July 1920, urged the House of Commons to punish General Dyer. Churchill succeeded in persuading the House to forcibly retire General Dyer, but Churchill would have preferred to see the general disciplined. Last night, i was watching the movie named "Felouri", this whole story was explained in that movie, i afraid by watching that movie n stop it, took a drink, than i abled to watch the movie. N after watching that movie, i went to bed n sleeped. I searched on internet and came to know that, that incedent is true. How people turn into human hunters? They were human first, I'm not from india, I'm a peaceful Pakistan, but imI sorry for this. May their souls rest in peace.